Kayak Live in Sheffield, october 1977? On eBay, I recently purchased this poster. It announces a Kayak gig at Sheffield City Polytechnic, on friday 7 october. The designer of the poster sold it as 'from the late seventies', and the only friday 7 october in the late seventies was in 1977. 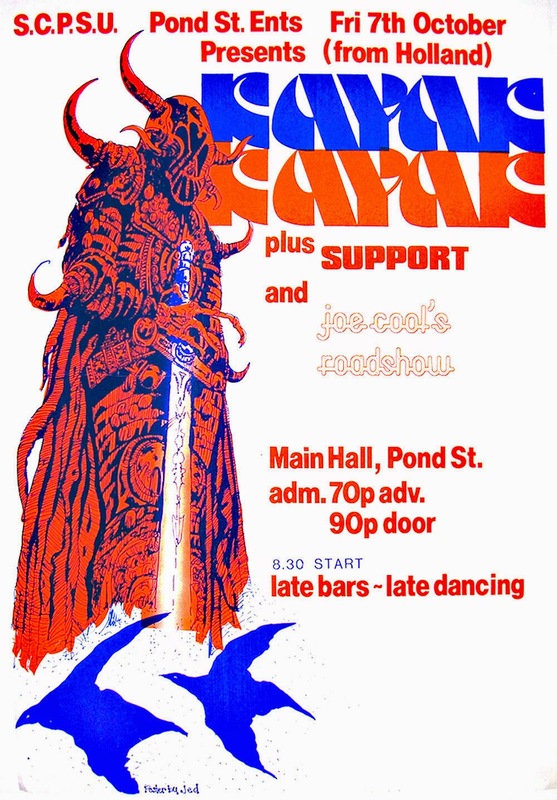 The conclusion is: Kayak played as headliner in Sheffield on 7 october 1977.